Hiring managers see a lot of resumes, which means that they also see a lot of mistakes. While some of the mistakes are careless errors, others are actually intentional. 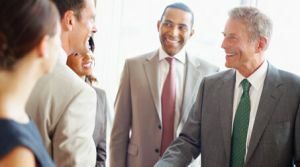 These intentional mistakes occur, because job seekers fail to think about what the company or manager wants and instead focus mainly on themselves. Whether intentional or careless, these mistakes are a sure-fire way to send your resume straight to the recycle bin. Here are some obvious and not-so-obvious resume mistakes that hiring managers hate to see. Some job seekers create a resume that is focused solely on themselves rather than the needs of the employer. 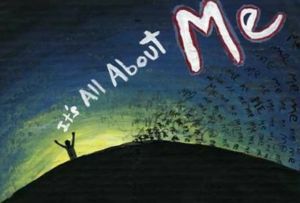 You should know by now that resumes are written without pronouns, avoiding everything from “he” to “she” to “I” and to “we.” All that’s needed are the action verbs in a resume. There are, however, other things that potential employers don’t need to know, and don’t care about. Don’t list personal information such as hobbies or extracurricular activities, unless they pertain to the new position. They also don’t care how long you have lived in the area. Additionally, skip the old-fashioned objective in favor of a summary of what you bring to the table. There are certain trigger words that can make a manager cringe as soon as he/she comes across them. 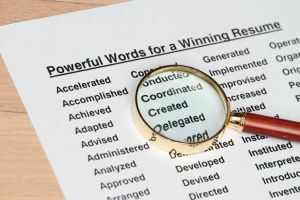 Words like results-oriented and dynamic are powerfully sounding words that are essentially useless. They provide no information and come across as simply trying to sound important. Instead of using these words, explain how you achieved results in terms of actual dollars saved or earned. Other words, such as hardworking, experienced, loyal and dependable, have become so overused on resumes that they have lost meaning. Another huge gaffe, is to include trendy industry words when you don’t know what they fully mean. Some job seekers think that throwing around these high-tech words makes them sounds like a cutting-edge employee. In reality, hiring managers see these words used incorrectly and know immediately that you don’t have the skills necessary for the job. Stick to using words and technologies that you have experience with. Another thing that frustrates managers is getting to the end of a resume and having no real idea of what the person accomplished. Some job seekers create a detailed resume that tells a lot about their jobs and tasks but fails to pinpoint their successes. You have limited space on a resume, so don’t let weekly report preparation take up space when you could include items such as being an integral part of a new product launch. While companies understand that a certain amount of training is required for new hires, they don’t want to train you from scratch. One huge red flag is when job seekers state that they are looking to gain skills in an area, are fast learners or are highly trainable. Employers don’t want to hire trainees, they want to hire professionals who are already skilled at what they do. Another area where job seekers often go wrong is in supplying way too much information. Just because you have a lot of work experience doesn’t meant that it is all applicable to the job you are applying for. Hiring managers don’t have a lot of time, and if they get bogged down reading about skills their company doesn’t need, they won’t keep reading to find out about the ones that they do need. Applicants don’t have to list every job they held in their entire working career. Include only the ones in the last 10 to 15 years. Even then, don’t list every task you did at each of those jobs. Most jobs have many tasks that are completely unrelated to your skill set. You may have had them, but you don’t have to brag about them. Focus on including the ones that are the most relevant to the new position. All those other positions can easily be glossed over in the resume and explained further in the interview, if asked. Whether you live in Michigan or around the country, the employment experts at Vertical Media Solutions can guide you toward a successful career change. Our personalized resume writing services are designed to deliver a flawless representation of your qualifications and professionalism. Learn how we can help today: 616-631-4300.